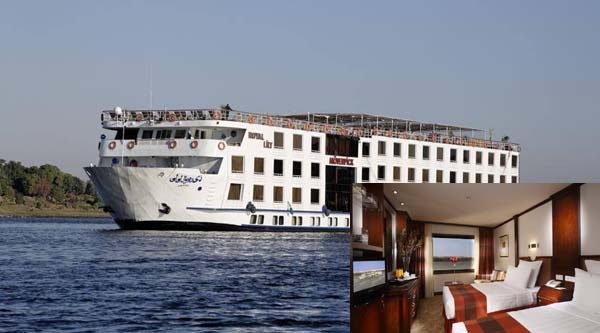 A short Nile cruise experience from Aswan to Luxor is an ideal solution for travellers who wants to combine leisure holiday with some historical discoveries. Visit to Hight Dam of Aswan. Visit to Philae island and Isis Temple. 08:00 am Kom Ombo Temple Visit. 20:00 pm Edfu Temple Visit. sailing to Luxor, overnight in Luxor. 12:00 pm Luxor visit to the West bank. The Valley of the Kings: visit 3 different tombs opened to public on the day. Optional visit to King Tutankhamon real or fake tomb is available. Afternoon visit to Karnak temple. Evening optional activities like Karnak temple Sound & Light show is available. Transfer from Hurghada in the early morning by air conditioned car to Aswan. The journey may take up to 6 hours. Upon arrival in the city our English speaking Egyptology tour guide will meet you and you will do a full day Aswan Sightseeing guided tour. Our visits will include Philae island and Isis Temple visit. The tiny island of Philae is just 450 meters long and less than 150 metres wide but has one of the best preserved and most beautiful temples in Egypt. A shot visit to Aswan High Dam followed by Kalabsha Temple site visit (optional visit). The site is located on the western side of Lake Nasser, one kilometre south of the High Dam and contains the temples of Kalabsha and Beit al-Wali, the Kiosk of Kertassi and the Chapel of Dedwen. Check in 5* deluxe floating hotel. Optional activities in Aswan , then sail toward to Kom Ombo, visiting Kom Ombo. This small beautiful temple is set right on the Nile bank. 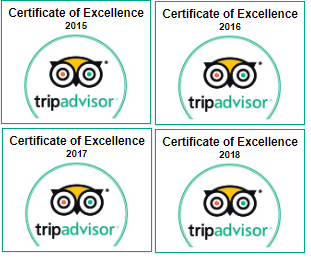 Let’s enjoy the panoramic views of the Nile, Cornish and the temple itself. Recently a small but very informative Crocodile museum was inaugurated on the site, so now we can visit it and learn about crocodile cult in Ancient Egypt. More than 20 crocodile mummies are on display in the newly opened museum. have dinner and rest on board. Overnight on board, evening entertainment program is available. After a breakfast on board in Luxor, start our sightseeing tour to West Bank. The tour includes visit to the Valley of the Kings , Colossi of Memnon and Queen Hatshepsut Temple or Deir el Bahari temple. Please note when visiting the Valley of the Kings, entry to 3 tombs is included, however if you wish to see either the King Tutankhamen tombor Tomb of Ramses VI, there will be an additional ticket cost. Lunch and afternoon tea on board are available. Afternoon visit to a huge Karnak temple. Dinner will be served on board as well. Overnight on board, evening entertainment program is available. Optionally in the evening Sound & Light show at Karnak temple can be arranged. Next day in the early morning you can do an optional activity of Hot-Air balloon ride over Luxor. Breakfast on board and morning visit to Luxor temple with its famous Sphinx avenue recently restored. Back to the boat for check out and then transfer to your hotel in Hurghada. The journey may take up to 3 hours.